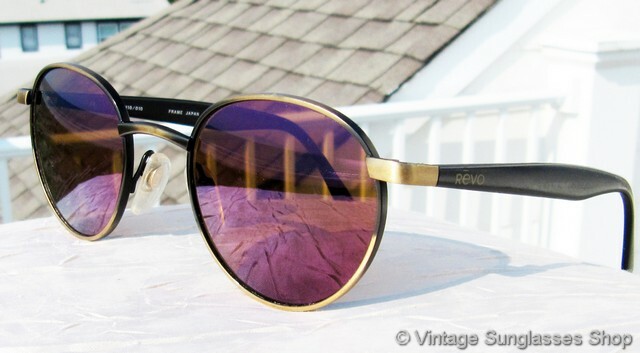 1 Vintage Revo 1110 010 Circle sunglasses feature black ebony ear stems and Revo purple mirror lenses that pick up increasing amounts of rich purple color out in the sunlight. 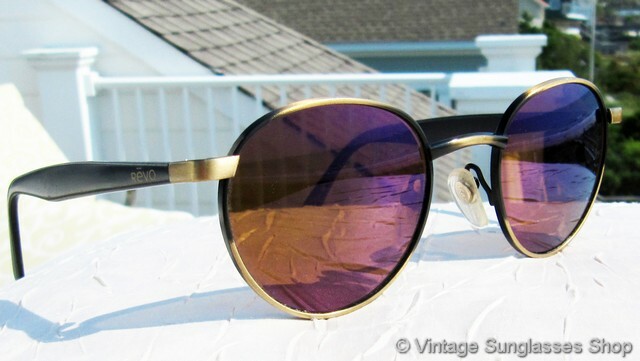 The black and purple is one of our favorite color combinations in vintage Revos, and you can't beat the size and shape of vintage Revo 1110 sunglasses which makes them great for both men and women, measuring approximately 5.0" temple to temple with Revo purple mirror lenses that measure approximately 1.5" x 1.75" at the widest points - round but not perfectly round. 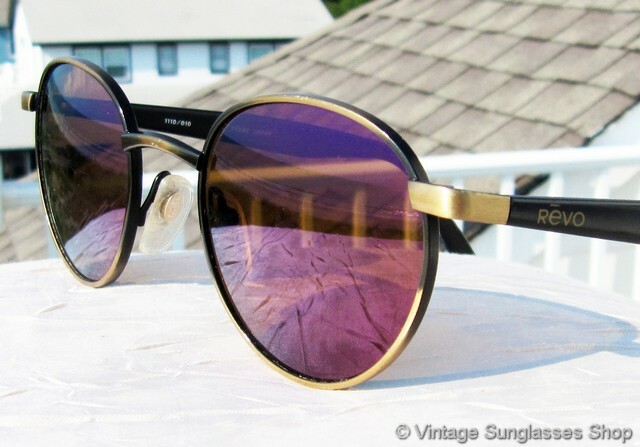 The purple lenses are framed by a brushed antique gold metal with black highlights used in the frame and hinges, and you'll find the Revo logo embossed on the exterior of both ear stems. 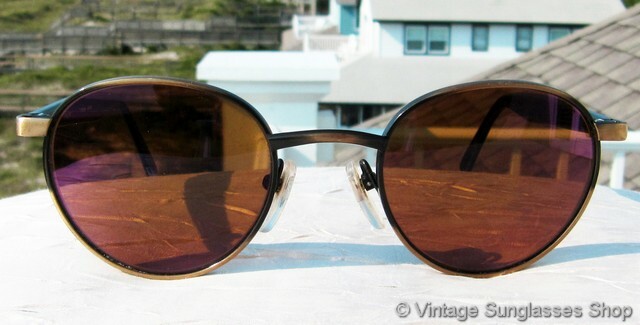 The inside of one ear stem is marked CE 1110/010 Frame Japan, part of the collection of a well known movie industry figure and long time customer of the Vintage Sunglasses Shop. 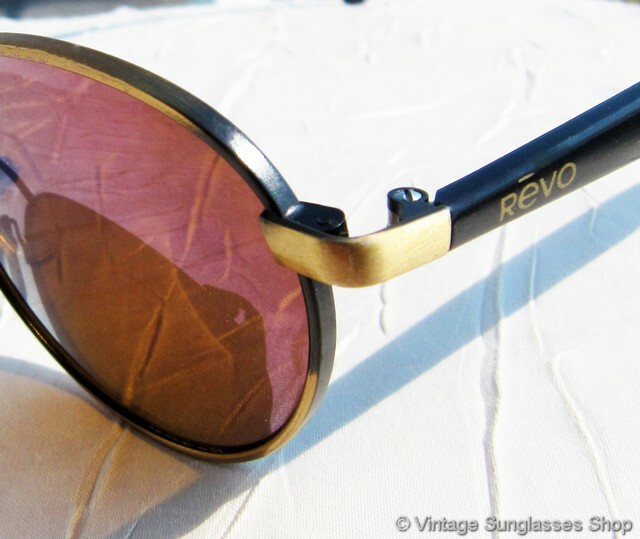 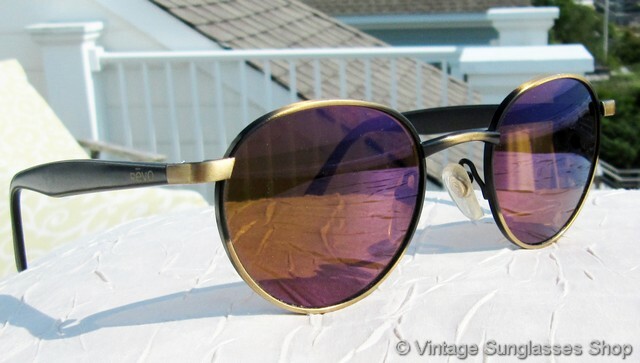 1A Step up another level beyond our already unequaled vintage condition standards with new old stock Revo 1110 010 Circle purple mirror sunglasses in mint, unworn condition. 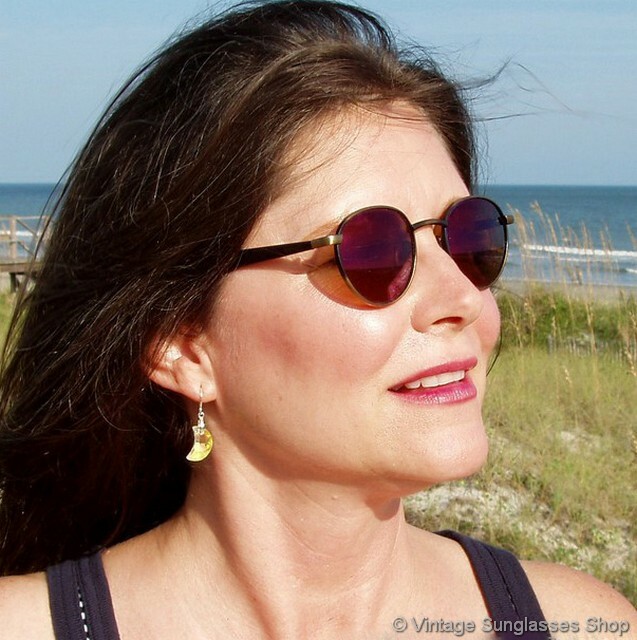 2 SPECIAL DISCOUNT OPPORTUNITY! 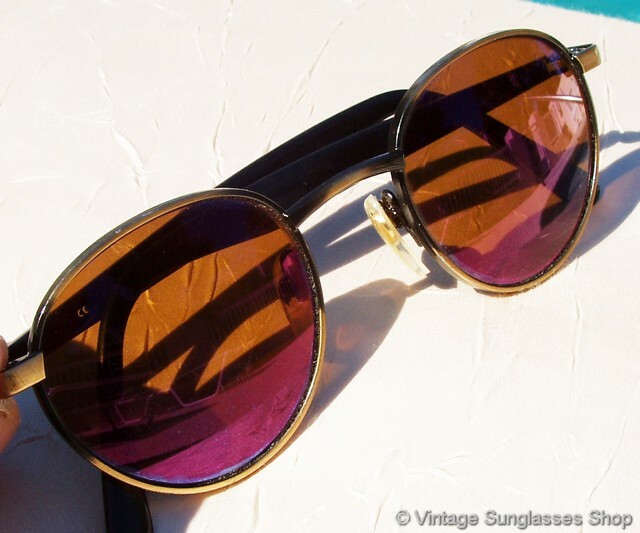 Sometimes when a great frame comes in as part of a lot but has lens scratches that make them fall short of our unparalleled vintage condition standards, we'll use it as an opportunity to offer our customers a rare vintage frame at a bargain price. 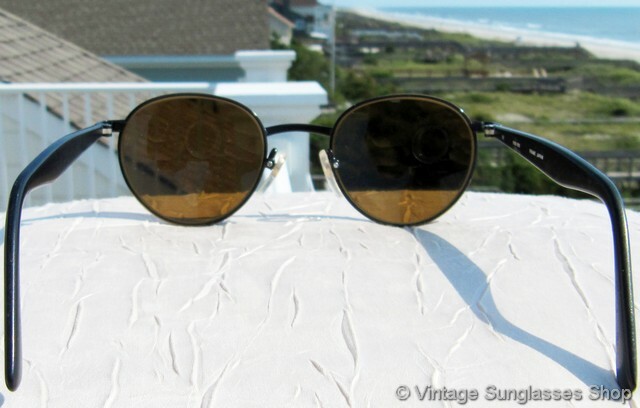 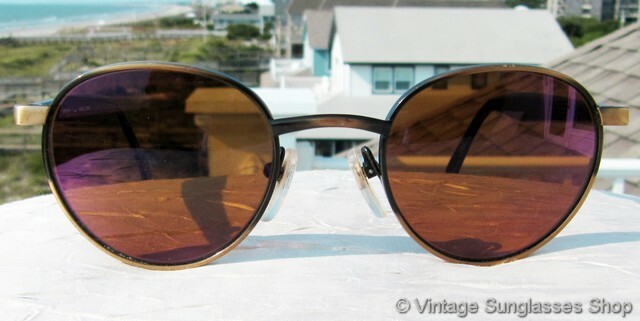 That's the case with these Revo 1110 010 Circle sunglasses, but it's a great frame that's very hard to find. 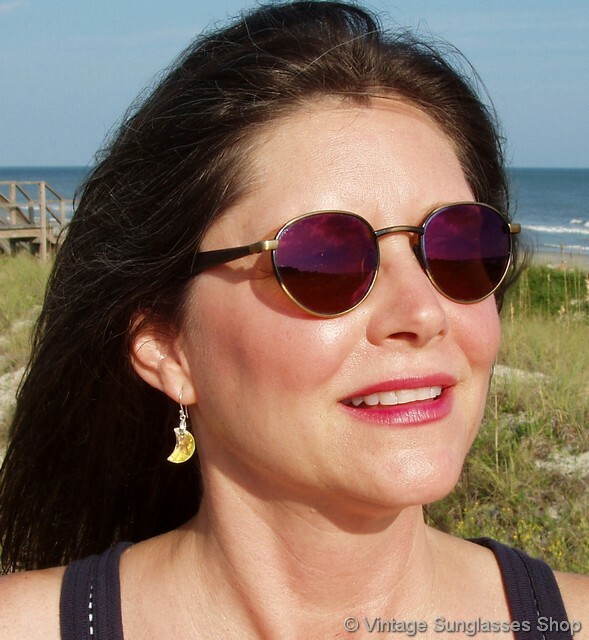 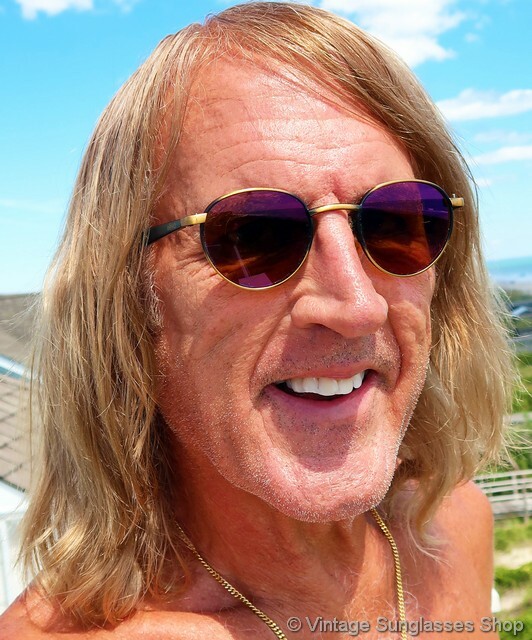 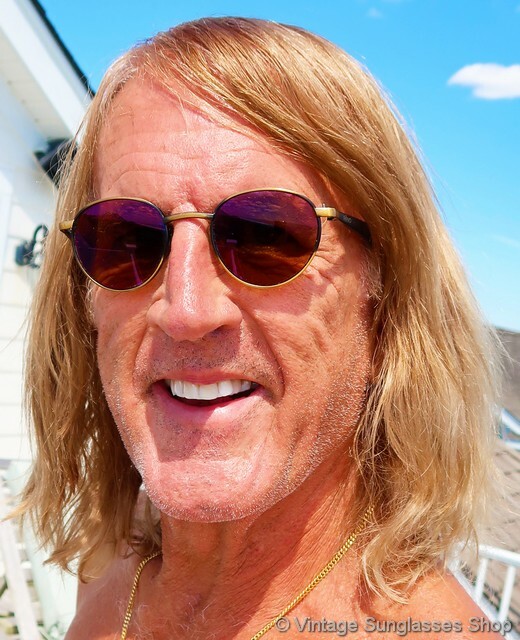 If you're tolerant of light lens scratches you can wear them as is or you can replace the lenses with the glass or polycarbonate RX prescription or non RX lenses of your choice at your local optical shop.